Take out the two packs marked Level 1 and shuffle them. Deal seven cards to each player. Place the pack face down on the table. Turn over the first card and place it face up alongside the pack. First person to go is to the left of the dealer. 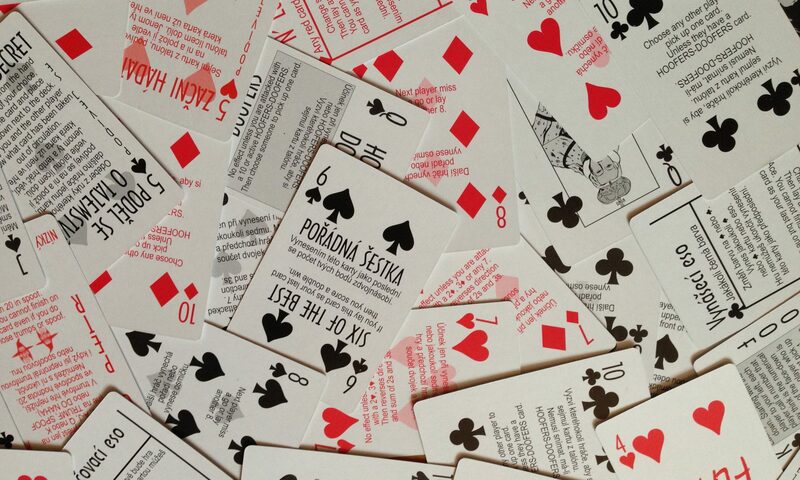 Players lay a card from their hand, following number or suit, or pick up from the deck. The object of the game is to be the first to get rid of your cards.